Italian real estate prices will stay level as buyers return to the long-term trusted locations, according to a new report by global real estate consultancy Knight Frank. Prices are currently around 30 percent below their pre-2009 peak, and the declining value of the euro has opened the market up to international buyers from the United States, United Kingdom and elsewhere. With the economy recovering from its lows at the start of the decade despite the weakening euro, consumers both local and foreign are staking a claim in Italy’s relatively inexpensive real estate. “We seem to be on a slight upward trend currently for Italy as an average across all the areas we cover,” said Rupert Fawcett, head of Italian department at Knight Frank, London. “Stock market volatility often focuses investors’ minds on real estate as a more solid long term asset, and there is excellent value to be had in Italy currently, with prices down on average 30 percent since the crash in 2009, further improved by strong dollar exchange rates at the moment. “Enquiry levels have risen over the last year and there is a good supply of property for buyers to consider,” he added. The report notes that buyers tend to either gravitate toward Tuscany for its rolling hills and Renaissance architecture or toward Umbria for its Etruscan landscapes, but not both. Tuscany’s market boomed in the 1970s while Umbria became popular later, meaning the need for renovations on Tuscan property has led to a narrowing price gap. British, American and Northern European buyers are turning to Liguria, a holiday home destination among Italian locals. Demand is also growing in Florence, Rome, Milan and Venice. Changes to real estate prices in 2015 compared to the year before initially look discouraging. Sardinia’s prime prices dropped by 3 percent, Umbria’s and Milan’s by 2 percent and Tuscany by 1 percent. However, previous years often saw double-digit decline on the luxury level, and the report predicts that such days are over. 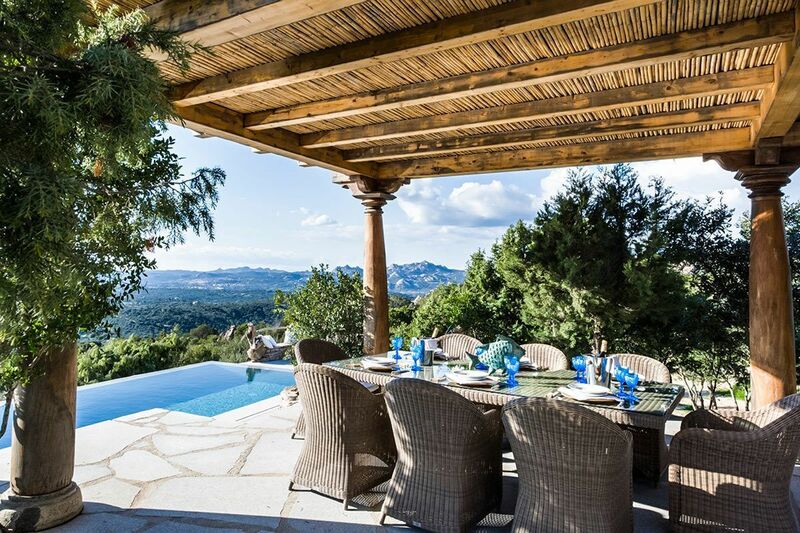 In 2015, inquiries on Italian property increased 57 percent year-on-year, with Liguria, Umbria, Sardinia and Tuscany all seeing an increase in sales volume. Overall, sales were up 7 percent. Moreover, prices increased in Liguria, Venice, Florence and Rome. Knight Frank cautions that to maintain the upward trend, sellers will need to be accurate and sensible with the pricing, as property volume is high. The increase is at least partially attributable to the euro’s devaluation. Over the past two years, the euro has slipped from 0.83 GBP to 0.73 while $1.38 per euro has grown to $1.09, resulting in 12 percent and 21 percent reductions in price, respectively. With currency shifting, numerous regions Knight Frank oversees are experiencing an influx of foreign buyers. The most represented buyer nationality in both Tuscany and Florence is British, while U.S. consumers outnumber Germans, British and Italians in Umbria. Of course, the increase is not entirely due to foreign buyers. Italy’s consumer confidence index is up 39 percent since 2012 and continues to grow. GDP growth also re-entered positive territory after a stagnate 2014 and years of shrinking. Knight Growth predicts that sales activity will strengthen in Tuscany, Florence, Umbria, Liguria and Sardinia, while Rome, Venice, Florence and Milan will remain stable, indicating a recovering housing market and a strengthening national economy. International buyers are major players in real estate, so much so that regional marketers are attempting to reach such consumers directly. For example, Realogics Sotheby’s International Realty (RSIR), the brokerage’s largest Pacific affiliate in the Pacific Northwest, is launching a publication geared toward the region’s influx of Chinese individuals. The all-Mandarin “Seattle Luxury Living,” released in partnership with Tiger Oak Publications, will target the affluent Chinese who have immigrated to or are visiting the Seattle metropolitan area, particularly Bellevue, WA, as the area is currently undergoing an immigration wave. Speaking to consumers in their own language is a necessary step in forming strong relationships and converting sales (see story). In other instances, foreign buyers are turning toward real estate for the investment possibilities it brings. As the stock market continues to ebb and flow, it will not be a surprise if foreign money, particularly from China, pours into Western real estate. The Shanghai Stock Exchange, the Dow Jones and other international stock markets are proving to be volatile and unpredictable. As a result, the perceived safety of real estate and the nature of its long-term investment could provide a solace for high-net-worth consumers worldwide (see story). Unlike in New York, however, future growth in Italy will depend not on the world’s affluent choosing to invest in real estate but rather on lifestyle appeal. “Italy is very much lifestyle driven,” Mr. Fawcett said. “Buyers choose Italy not for investment reasons, but for all the various lifestyle factors it offers from food and wine to architecture, history and culture to relaxed living – coastal destinations and rolling hills filled with vines and cypress trees; shopping and entertainment.